As you can see, touch targets are jumping around sporadically, occasionally reversed, and can even register as a storm of semi-random taps. By most accounts, the problem only occurs when the tablet is running on battery power, and not plugged into a power source. Otherwise, nobody has been able to fix the problem - wiping the device, booting into safe mode, and changing software configurations all seem to do nothing. A few reports scattered across the Google product forum and XDA-Developers suggest that the problem is not present in the initial update (JWR66N) that the Nexus 7 downloads after establishing an internet connection for the first time, but only appears after the 2nd OTA (JSS15J) is installed. A member of Google's support staff has confirmed that the Android team is aware of the issue and looking into it. Based on the details from customer stories, the issue can probably be fixed with a software update. It's likely that JSS15J changed the tuning of the touchscreen digitizer, lowering the electrical current a bit too much when the tablet is running on battery power. The result would be reduced sensitivity on the screen, especially when multiple contacts are made. With a slightly recalibrated setting, a fix should be relatively trivial now that the problem has been acknowledged. Some advanced users may be familiar with using custom kernels or other mods to fix devices that suffered from similar issues. Naturally, in these days of delicate electronics equipped with operating systems as complicated as Android, it's not surprising for a couple of issues to slip through the cracks. For those who don't recall, every device that has born the Nexus name has seen some form of technical difficulty when it first shipped. For example, the Galaxy Nexus volume buttons were disrupted by its own 900 MHz 2G radio, but this was later fixed with a simple update. 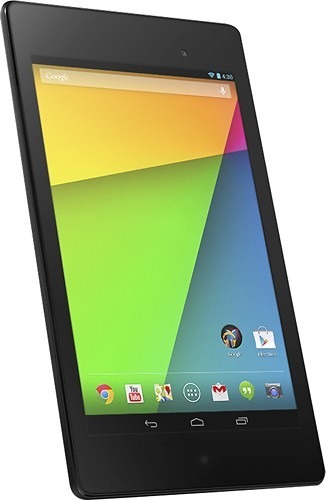 Hopefully, Google will begin pushing an OTA soon that fully restores multi-touch to the 2013 Nexus 7. Thanks for the tip, François Bouffard.